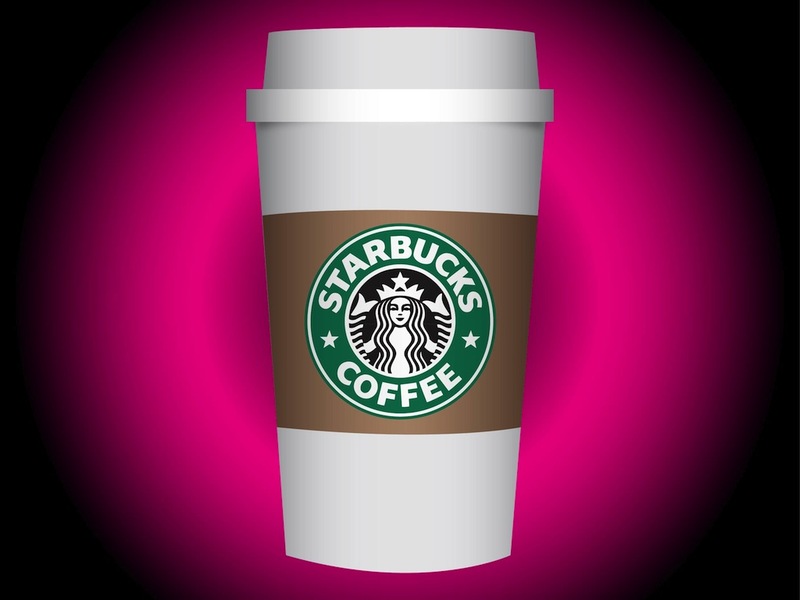 Hot beverage vector illustration of a Starbucks coffee cup. Realistic illustration of the popular design. Generic disposable cup with a paper label with the company logo. Free vector illustration to use in all your coffee, coffee shops, popular restaurants and cafés and pop culture projects. Cup footage for posters and menus. Tags: Beverage, Café, Chain, Coffee Shop, Disposable Cup, Drink, Logo.